Heart of Haute is the only vintage reproduction clothing company with a dedicated mod style collection. What is mod? In general, modern design values function, and is free of excess decoration or ornamentation. In fashion, Mod style has its origins with the beatniks in England in the 1950s. Their love of modernism in jazz music gave the style its name. The beats' black turtlenecks were combined with elements of slick, sophisticated Italian suits, and bold prints and symbols adapted from and influenced by pop art. Mod fashion in the 1960s was at its peak, with everyone from Twiggy to the Beatles rocking mod looks. The mod aesthetics influenced more than just clothes; architecture, vehicles, and even household items were bright, bold and sleek. Mid-Century Modern is a term used to describe the innovations in modern design in the mid twentieth century; the 1950s and 1960s. Areas that had a lot of population growth during this time (like Florida and Southern California) have many great examples of Mid-Century Modern architecture. Looking to experience some mid-century mod style on your vacation? There are numerous weekend events (or weekenders) that celebrate the design innovations in this subculture, from the 1960s to today. Mod Weekend occurs in sunny Fort Lauderdale, Florida. Mid-Century Modern architecture tours, a Mid-Century Modern antique fair, a boat tour (and sneak away a night at the fabulous Mai Kai). Also in Florida, Sarasota Mod Weekend is focused on architecture. Mod Palm Springs has room parties, live music, and you just might share a drink with artist Shag. Modern Phoenix offers an annual home tour focused on a different neighborhood of this Arizona city. Heading to the UK? The spiritual home of the mod subculture has loads of events. Many of us today still enjoy the clean looks of mod style - and a ride on a stylish scooter. No matter where you are headed, Heart of Haute can help you pack your bag with mod dresses and other great retro fashion! 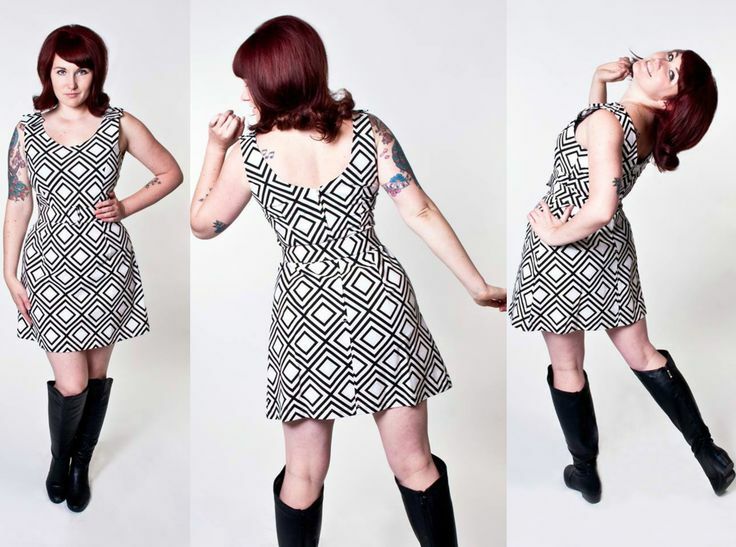 Save room in your suitcase next to your go go boots for our 1960s inspired dresses, skirts, tops, and more. Follow Heart of Haute's board Mod Girls on Pinterest.